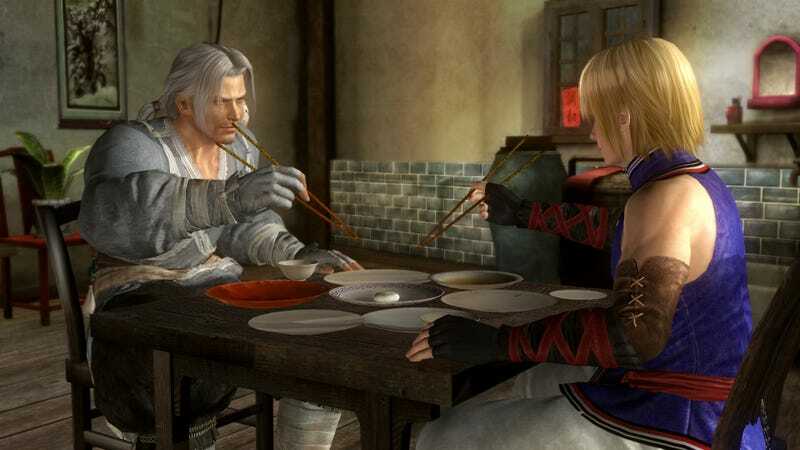 There's only one way a meal between the boisterous Brad Wong and boyish Eliot in Tecmo Koei's Dead or Alive 5 can possibly end. Or they could fight I guess. That works too. In an amusing departure from the over-the-top fighting stages we've seen from the game so far, Brad and Eliot make their debut in a small Chinese house, the sort of place you'd expect wandering warriors to stop by for a break in a period anime. It is, as it turns out, a very fragile tiny Chinese house. Dead or Alive 5 destroys everything some elderly Chinese woman owns on September 25.